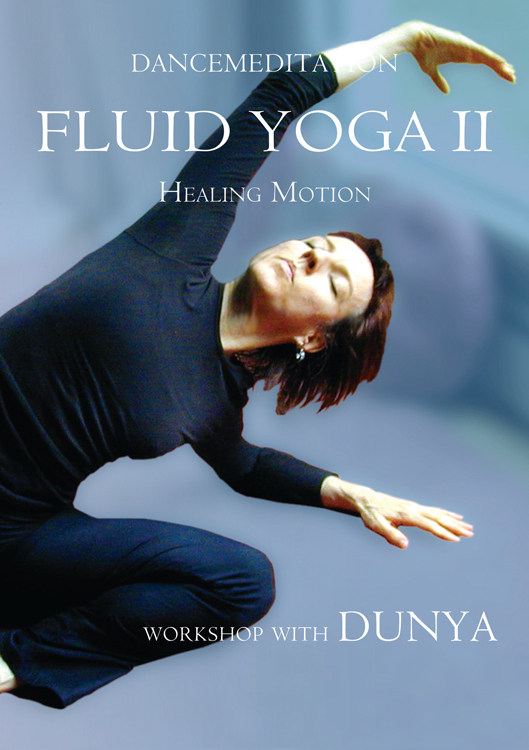 The second session in the Dancemeditation series of Fluid Yoga, paced at Beginning Intermediate level, focuses on stretching, breathing, and meditative hand movements. The simple flow of movements draws you into deep embodied meditation. 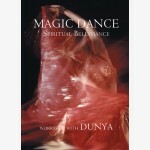 Practice with Dunya as your body becomes longer, stronger, limber and more relaxed. With soothing music and gentle narration, you’ll be guided through three qualitatively different practices. Mellow, Relaxing & Circulating. Seated breath-based stretches and soft mudra-like arm work center you as they gently increase circulation of all the body fluids. The repetition and gradual progression of movements settles the mind and calms emotional unrest. These horizontal, breath-based stretched fully engage gravity to elongate and strengthen the spine. Challenging, Strenuous & Energizing. A set of vinyasa flows brings you from floor to standing and back while as it opens your body. Parts I and II are ideal before work, before bed, or any time you wish to experience a deep inner calm. Part III is a detoxifier. The segments may be done consecutively or individually.